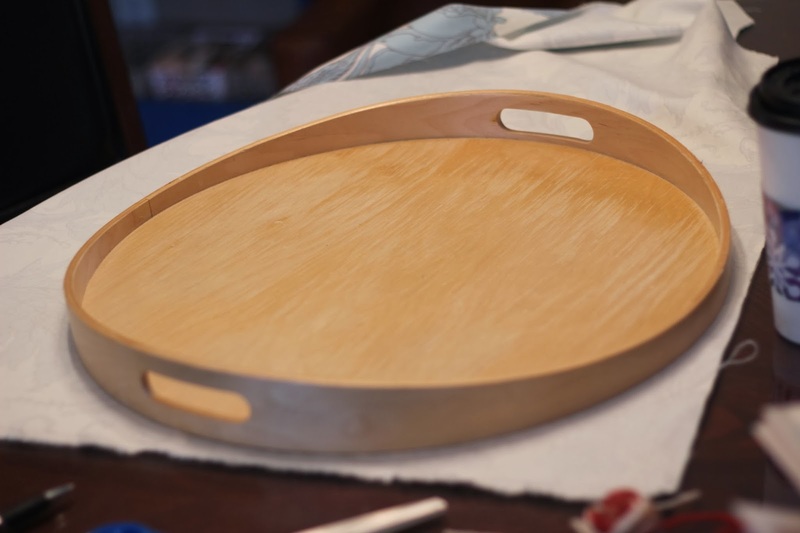 Women on a Mission: Mom Edition: POTTERY BARN TRAY HACK! 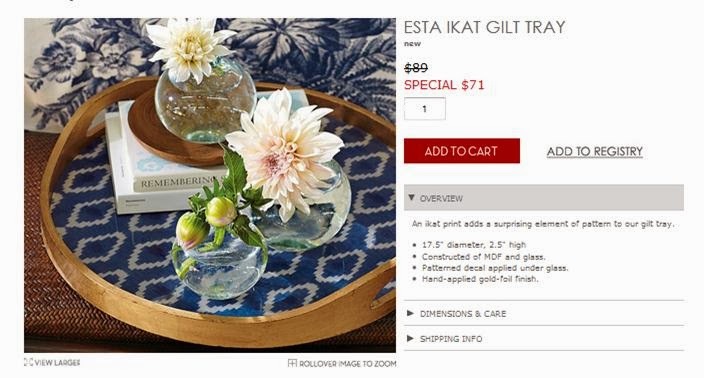 Recently, I was browsing an online Pottery Barn sale and came across the Esta Ikat Gilt Tray for $71.00 on sale. 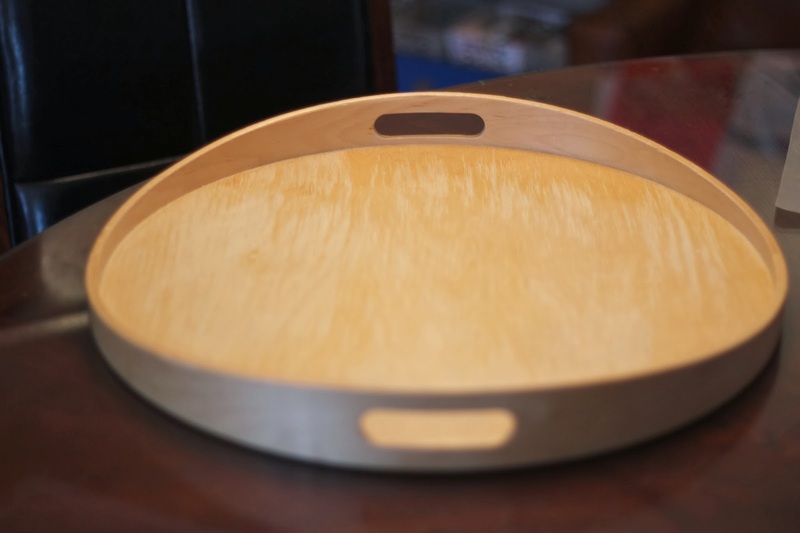 It looked very similar to the wood tray that currently sits on my ottoman from IKEA. 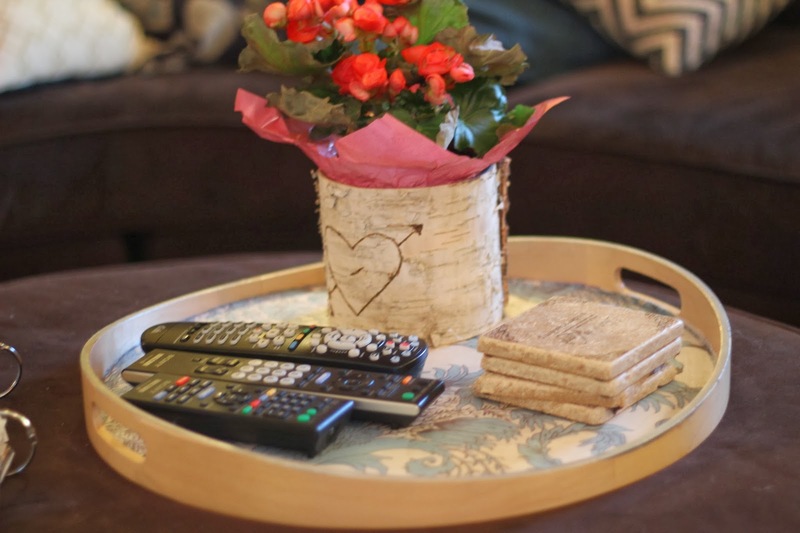 This tray however cost around $15.00 (and I believe is no longer available at IKEA--BOO)! 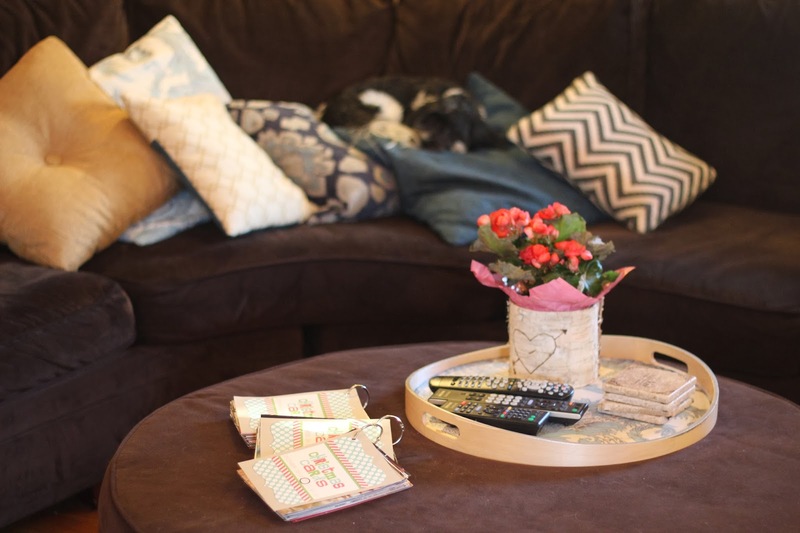 That's when I thought: I could use Modge Podge and fabric to make it Pottery Barn(ish)! 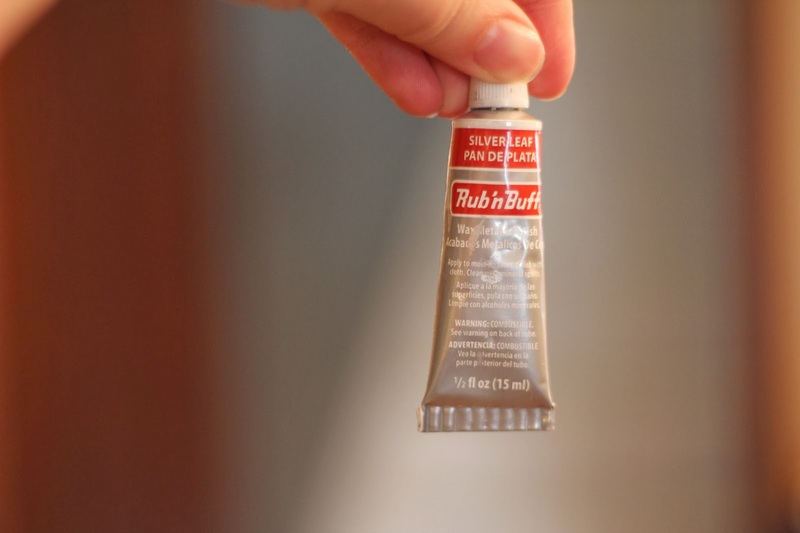 Better yet, I had the supplies needed already in my craft stash--my cost (FREE!). 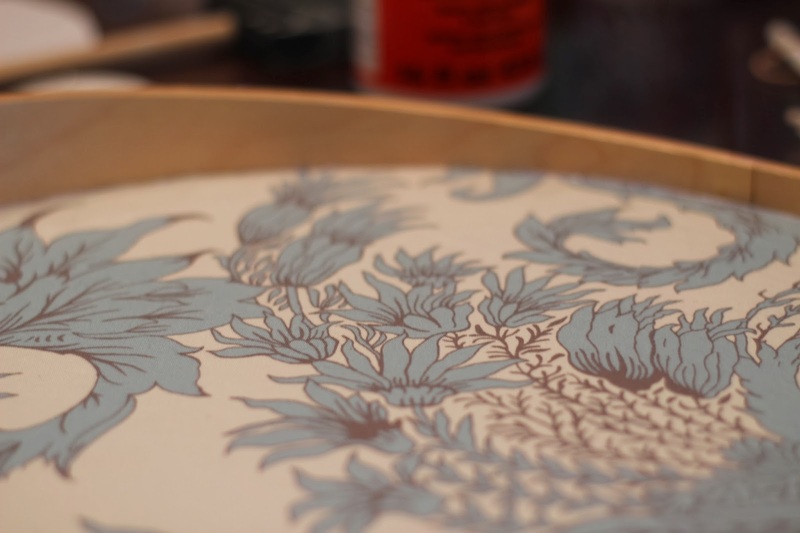 First I traced the tray onto my selected decorator fabric. 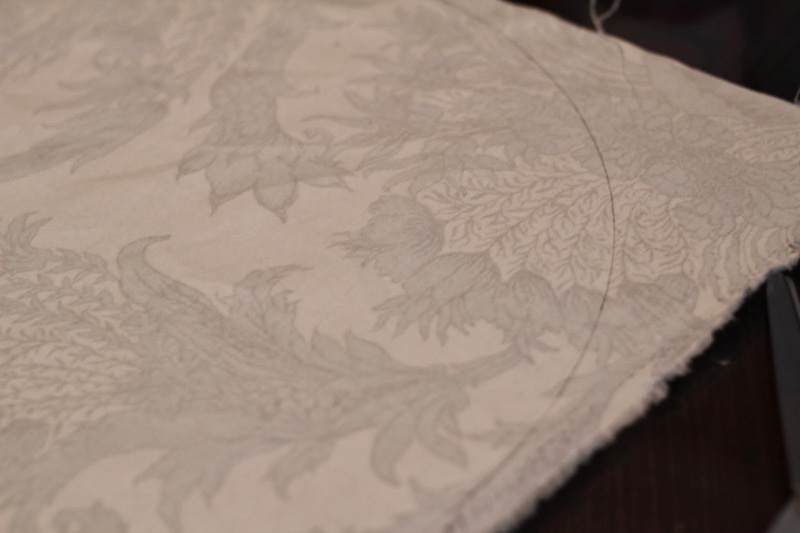 The size was a little too big for the inside of the tray so I did end up pushing the fabric down, drawing a line, and trimming. Honestly, It was an easy step. I debating drawing a circle onto the fabric using a string however, I wanted to be 100% sure the fabric was large enough and my circle shape was not off. 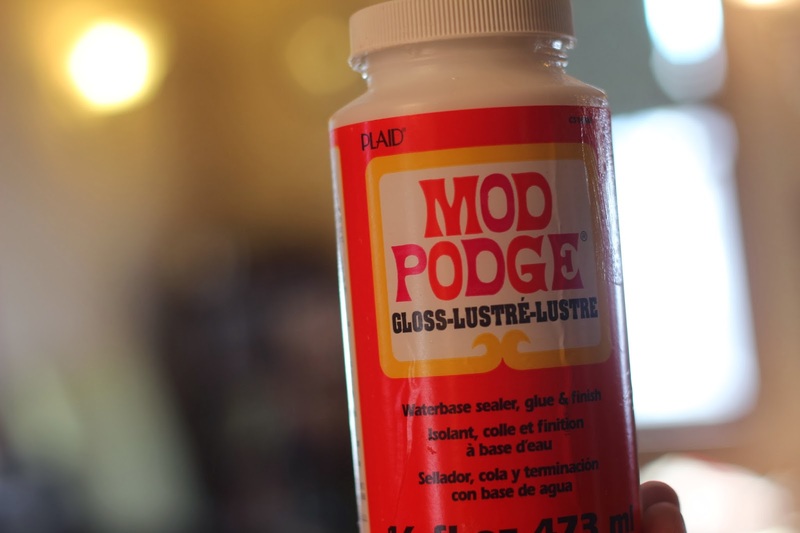 Using a foam brush, I applied a generous amount of Modge Podge as I went. I also made sure all bubbles were pushed out and that the fabric was very smooth. 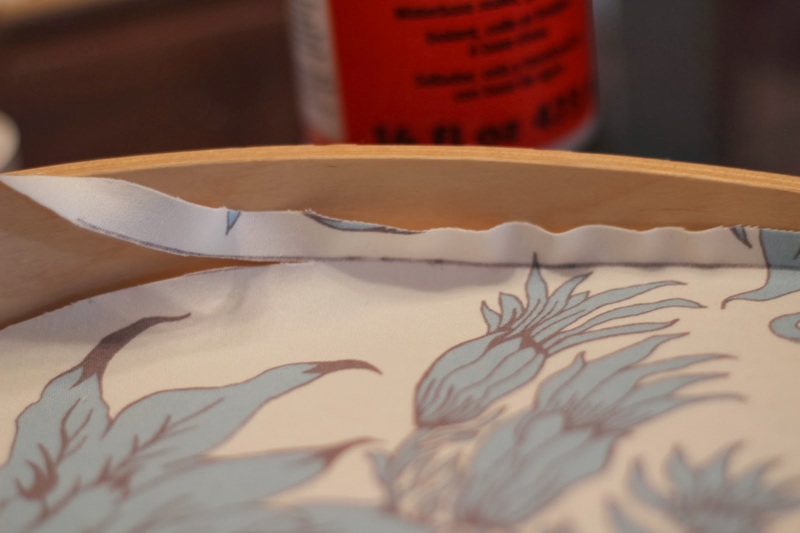 Once all the fabric was attached to the tray, I applied a generous additional coat of Modge Podge on top of the fabric ensuring the seams were secure. 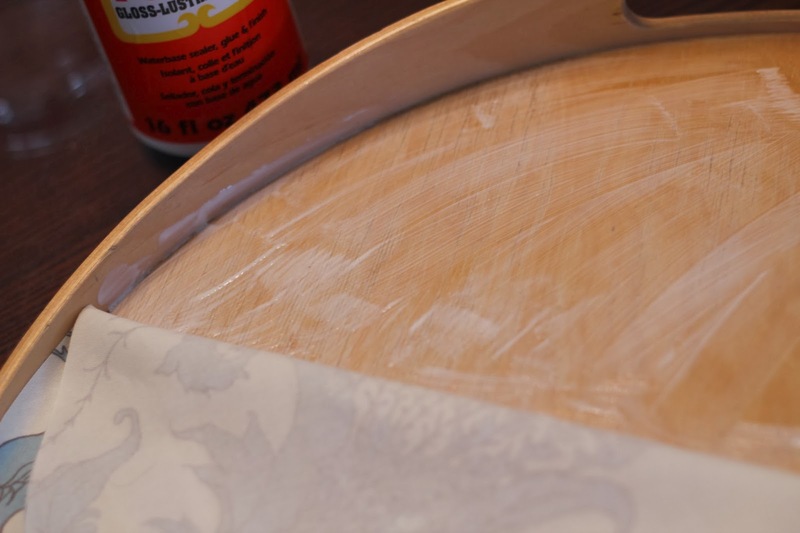 I also decided to add some silver Rub n' Buff to the edge of the tray (using my finger). I LOVE IT! so much better! Have you done any high/low hacks lately? I love this one!!! It looks like something even klutzy me could pull off. IKEA hacks strike again! How fun! I really love your final product! So classy!